One of those options is heroin maintenance programs (also known now as heroin assisted treatment, or HAT). The most famous such program  operated in Liverpool, England, before the conservative Thatcher government, encouraged by the Reagan administration (so we heard), shut it down. But HAT programs current operate in Switzerland, The Netherlands, Germany, Denmark, and the Canadian cities of Vancouver and Montreal. Patients in such programs receive a supply of pharmaceutically-produced heroin from a clinic (for free, though one can infer similar benefits if the heroin were merely cheap). They regularly access health services as a part of their participation. Those who need to inject the drug to relieve their cravings receive instruction on how to do so without damaging their veins, and heroin is made available in other forms as well. A 2009 paper by leading drug policy researcher Peter Reuter, written for The Abell Foundation in Baltimore, reviewed research done in three of those countries . According to Reuter, Switzerland found a decrease in criminal involvement from 70% of the patients down to 10% after 18 months; and an increase in employment, from 14% to 32%. The health safety results were particularly impressive, including decreased contact with the street drug scene, and with very few adverse events or safety issues. In the meanwhile, there are things to do that are legal even now, at least in a few states that have moved forward with them, with no federal laws standing in the way. These are Good Samaritan policies, that protect people from criminal liability when they seek help in an overdose situation; and use of the antidote medication for heroin overdoses, Naloxone. Meghan Ralston wrote about these in an oped yesterday . 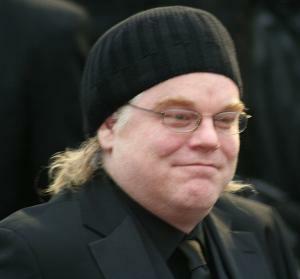 http://www.facebook.com/sharer.php?u=https://stopthedrugwar.org/speakeasy/2014/feb/03/could_different_drug_policies_ha&amp;t=Could Different Drug Policies Have Saved Philip Seymour Hoffman? http://www.stumbleupon.com/submit?url=https://stopthedrugwar.org/speakeasy/2014/feb/03/could_different_drug_policies_ha&amp;title=Could Different Drug Policies Have Saved Philip Seymour Hoffman? http://reddit.com/submit?url=https://stopthedrugwar.org/speakeasy/2014/feb/03/could_different_drug_policies_ha&amp;title=Could Different Drug Policies Have Saved Philip Seymour Hoffman?